I was just alerted – with a decent amount of urgency – to the growing problem of “fake Chinese bee pollen” infiltrating the health food realm. No big surprise. You know as well as me the Chinese have become sheer masters of making fake everythings and anythings. Almost vengefully, they’re getting quite the rush from conjuring up bigger and better fake things. As glaring proof, I recently heard on Facebook that there was a major bust off San Diego where the Coast Guard intercepted a huge shipment of fake water coming in from Shanghai. After intensive testing, it was determined that the so-called Water-Lite brand was pretty much plastic bottles filled with unfiltered Chinese air – and bearing the directions, “Just add water.” Wow. Even I have to admit that developing fake water must have taken some serious devising. Hmmm. I gotta admit that’s not a bad sell point. And likely not lost on Walmart higher ups. But the Chinese craftiness in counterfeiting has reached a new high with their fake fake eyelashes. But back to the very real alert that there is some fake Chinese bee pollen circulating the hallowed halls of health food stores. Firstly, I had to work at interpreting that statement. Was it fake Chinese bee pollen, being made in some other country trying to get even with China by faking China’s bee pollen? Crafty. Or, was it the standard China making fake bee pollen? It’s never easy. WEATHER CHANNELING CRISIS: There’s a movement afoot to persuade The Weather Channel to cease naming winter storms. 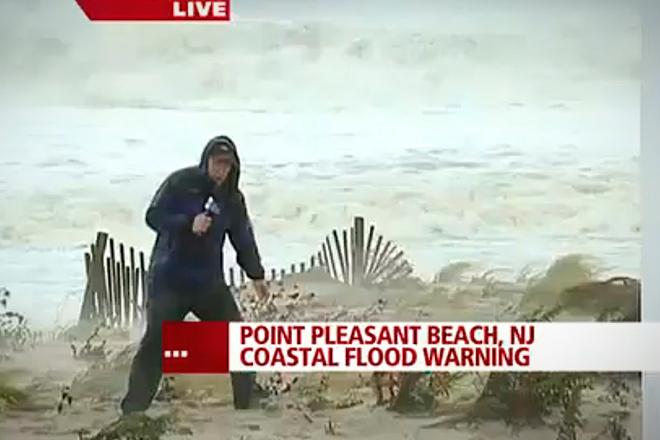 For some reason, TWC’s storm naming pisses off certain people. Admittedly, there are now a rapidly growing number of people who are perpetually pissed off at everything in sight – and get doubly pissed off when they can’t find something to be pissed off over. No fingers being pointed, mind you. I’m not that impressed with the winter storm naming. It somehow impinges on the proud tradition of naming only tropical systems. For sure, the winter storm naming is yet another marketing tool/gimmick by The Weather Channel, which is fighting to keep its place on cable row. The famed weather watch station is in a bit of a bind, as its rising fees are sending some cable networks packing. Quick to fill in any TWC vacuum is something called Weather Nation, athttp://weathernationtv.com/LocalWeather. I fear losing TWC. It’s like family. I, like many of yinz, was there for the glorious birth of The Weather Channel way back in the last century, circa the early 1980s. I recall those golden sky days when the same live programming went on and on, for hours on end, 24/7, with virtually no commercials! Yes, childrens, there was a time when The Weather Channel had no commercials. Back in those days, The Weather Channel’s near droning presence was oddly comforting. The same exact “weather news” was being repeated, over and over, by a small group of laidback meteorologists – and an old time hurricane guy, whom we followed like a sage, while worrying over how many tropical seasons he had left in him. I can’t count the number of surfing houses I stopped by where The Weather Channel was constantly humming peacefully in the background, punctuated by the “Local Forecast,” harboring some of the coolest New Age-type music any of us had ever heard. It was like, “How can the weather get any better?” Those were wonderful weather-watching times. Gospel truth: Gangs of us waveriders would often sit around in surfing houses – shaper/surfer Skip Miller’s house in Harvey Cedars jumps to mind – and quietly stare, for lengthy periods, at The Weather Channel, even when the skies were doing squat. When the “Local Forecast” music would come on, we’d all begin to tap our feet, bob our heads, or gently drum our fingers, until the report music ended and we instantly returned to silently watching the identical weather reports issue forth like Xeroxed copies. It was almost Zen-like; a meteorological ohm, of sorts. Of course, when storms and swells became the headliners, we jettisoned the tranquility routine. You could walk in the room and instantly tell something was abuzz by the way everyone was now standing or on seat’s edge, riveted to TWC. It got downright raucous when the hurricane guy began showing a huge cyclone predicted to make a turn into the Atlantic. It didn’t matter that it might be days before actual swells arrived. We knew we always had some great TWC viewing coming our way. I won’t rain on the parade by noting that one of the last things you can now find on TWC is an actual weather forecast. Commercials? There are fewer snowflakes in a blizzard. Nonetheless, I’m there for every episode of TWC’s “The Prospectors,” a dream show for treasure hunters. Yes, TWC offered me my very own, employees-only “The Weather Channel” jacket (signed by Jim Cantore and that woman who wears the real tight purple dresses) if I stand up for its cable presence. Can’t wait for the next storm to just stand out there looking all official TWC-ish. MUST SPEAK Of OWLS, MUST SPEAK OF OWLS: Scientists are fun to watch when fighting each other. Let’s just say they’re far more physics than physical, though angry glares and well-timed eye rolls are sometimes issued in the heat of a battle over theories and breakthroughs. I’m sorta sayin’ a scientist is not the best person to have your back in a brawl – unless you’re OK with duking it out for all your worth, as said scientist stands off to the side feverishly elucidating on why fighting can be very dangerous, leading to serious contusions and cuts, which can very easily foster the growth of opportunistic bacteria, including those suspected in newly emerging infections, like flesh-eating disease. Admittedly, as a bloody brawl is phasing down, that “flesh-eating” bacteria information starts to sink in. A couple/few combatants will begin thinking about antibacterial rinses and such; picture brawlers now putting arms around each other’s shoulders and discussing which ointments they prefer. Which is one of my typical lead-ins to something way different, namely, the debate over why there are so many snowy owls out there. This is still being asked and debated by scientists and normal people alike. The difference is the scientists are getting all hot and bothered. Numerous publications are reporting hissy-fit exchanges twixt scientists offering highly varied assertions on why snowy owls numbers have gone wow. The high-flying hubbub is fun since I’m proclaiming – in data-esque terms – that no other single U.S. location has entertained more snowy owls – coming and going – than the Holgate region of N.J. Yeh, we bad. It’s the fight over “why?” so much snowy owl-age that has sciency pencil pushers sharpening their tips for combat. Near the top of the causative heap is an alleged overload of lemming up north, something surely capable of leading to an eruptive irruption of well-fed young snowys. I’m not biting. The arctic lemming showing has, for decades, been stable in its excessiveness. There were/are tons of ’em. Nothing lemmingly extreme. Relatedly, last summer and fall saw a near normal survival rate of snowy owl hatchlings, meaning the “higher hatching survival theory” is also for the birds. Things did get way out there, predictably, when global warmists took flight to forward melting polar ice caps as aligning perfectly with the irruption. One scientist told the New York Times that the juvenile owls first flew north and got all confused by weather triggers and swung south. I’m a hesitant global warmist at most but can’t totally dismiss that premise, mainly because it’s a bit more exciting than other theories. However, I can go all Nat Geo Channel on all ya’ll by suggesting that the owls are being thrown off course by an impending change in the planet’s polarity. DYK that certain northern fish species have already bailed on the Northern Hemisphere, bee-lining for the southern half of the globe? Just sayin’ – as I script a cable series titled, “When Hemispheres Collide!” I was going to call it, “The South Shall Rise Again!” but got some early negative feedback. A GOOD FLATAFISH NEWS FLASH: I just got this in from Tom Fote: The ASMFC voted to support no closed recreational season for winter flounder. That means you will be able to fish for winter flounder again in the winter season. This was done in response to NMFS allowing for greater catch of winter flounder in federal waters. I won’t bring up the crappy weather this winter lest it come after me. In fact, I’ll throw it a bone. Many an old-time winter blackback (flounder) fishermen swore up, down and around that the best ice out floundering came after horrendous winters. Old West Creek Charlie was ready for blackbacks as soon as the ice gave way, which is happening now. Ok, so maybe that’s pushing the gun but there is this one, intense-hooking push as the first of the spring thaw begins. Many a fishing folks will balk at spring floundering because it has been so piss-poor for so long. Truth be told, it was the onset of the closed season – lurking until well into spring – that had been annually bumming out the early-season blackbacking. Now that we’re free to fish way early-on, I’ll bet there is some super winter floundering to be had in, firstly, Manahawkin Bay and, slightly later, off bayside Harvey Cedars. I’m not real familiar with floundering in west B Bay, over near BI, BB and 42 buoys, but I’ve heard tell of good spring flatfishing thereabouts. Ditto with The Plant area.